Fickle Feline: My Little All-Star Max. It took a few weeks, but Max has finally settled into our new routine. In fact, I think he is doing much better than the rest of us! The reports back from his therapists at Blue Balloon have been chalk full of progress. They are hearing new words, seeing him handle transitions much better, and he is adapting to new therapists more quickly. 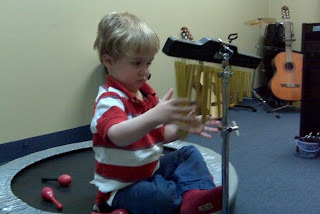 At daycare, he is starting to participate in activities on his own, without having to be prompted. He is also napping consistently, and complaining less about transitioning to and from the playground. At home we have noticed that he seems to be tolerating Cameron, and her new found voice. He used to get quite upset when she would cry or even just vocalize. Now he looks at her as if to say "hey, you, cut it out over there", which is the same look I'm giving her. The best part, is that he has started bringing me books again. I used to spend about 40 minutes a night reading with him. When he started IBI therapy in January, that stopped. He still wanted to look at his books, but he didn't want to interact with anyone while he was doing so. This broke my heart, as it has been our special time together, but I figured that with all of the new therapy we had him in, he needed some downtime. On Monday, he brought me an old favourite, "Horns to Toes" and climbed into my lap. I read it to him twice, and he loved it. 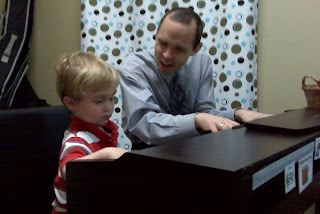 On Wednesday in his Music Therapy session, he said "read a book" to me. He also said "happy". Yesterday he did the sign for "milk", which we have been working on for about a month. If you would have told me six months ago that we would be seeing this type of progress, I probably wouldn't have believed you. Max's language is starting to emerge, his behaviour is becoming much more even keeled, and he is a lot less frustrated. Max is my little All-Star. Such good news. Yay Max! That's wonderful!! Keep it up, Max!! Fantastic! Congratulations to Mama Bear!